It can be difficult to separate Christmas from Birthdays when your Birthday lies in December. 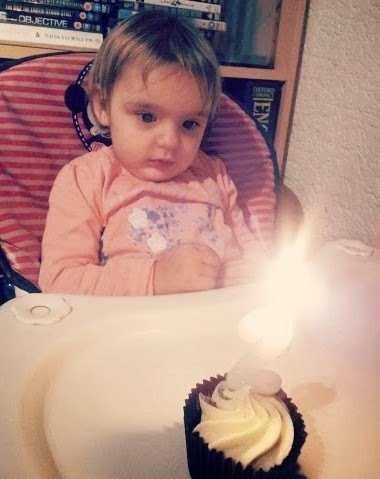 Isabelle turned two on 20th December and though I want her to celebrate her Birthday in it’s own right, it does tend to get mixed up with Christmas rituals too. I put up the Birthday Decorations just the same as I do for everyone in the family (some banners and balloons) but of course the Christmas Decorations were also already up too. 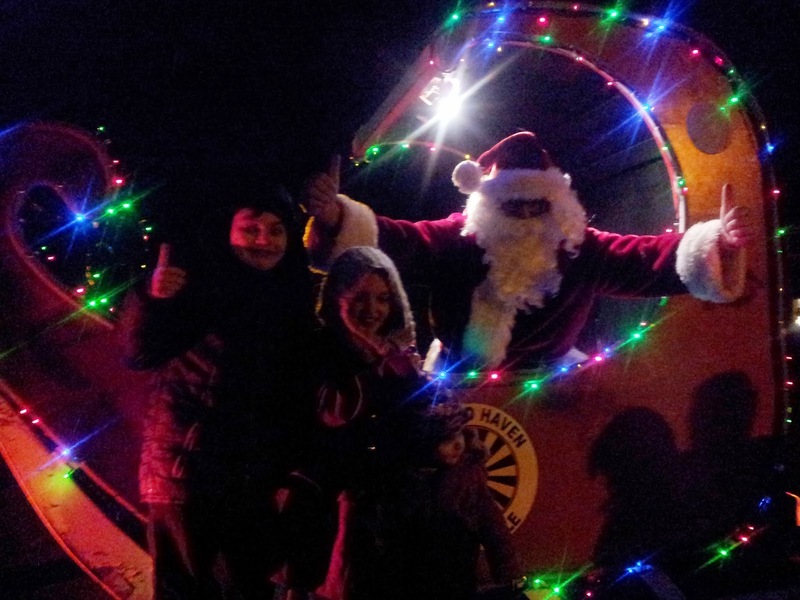 When Father Christmas rode down our street on his sleigh, courtesy of Milford Haven Roundtable, he wished Izzy a Happy Birthday and gave her extra sweets as a birthday treat. 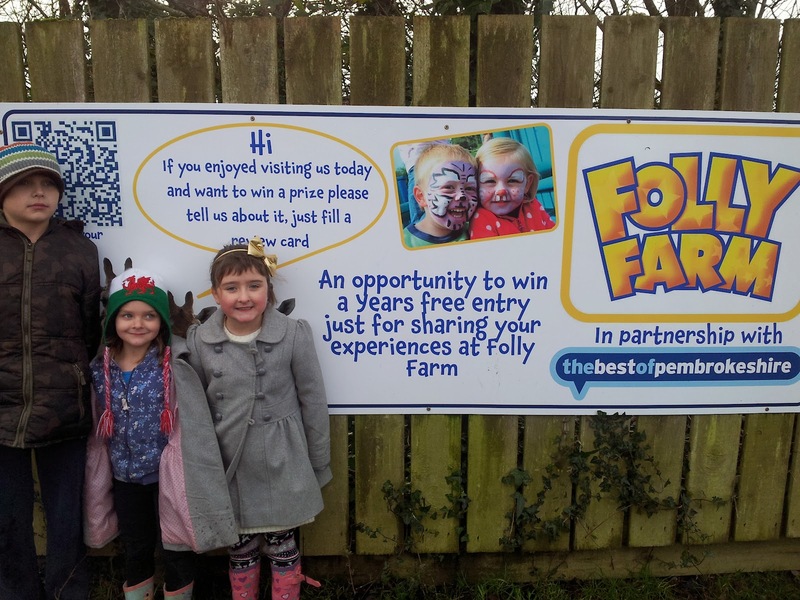 For her birthday outing we went to Folly Farm. I find now Izzy is getting older and running around with her older siblings and cousin, it is getting harder to take photos of her. We started off doing the Christmas Trail. 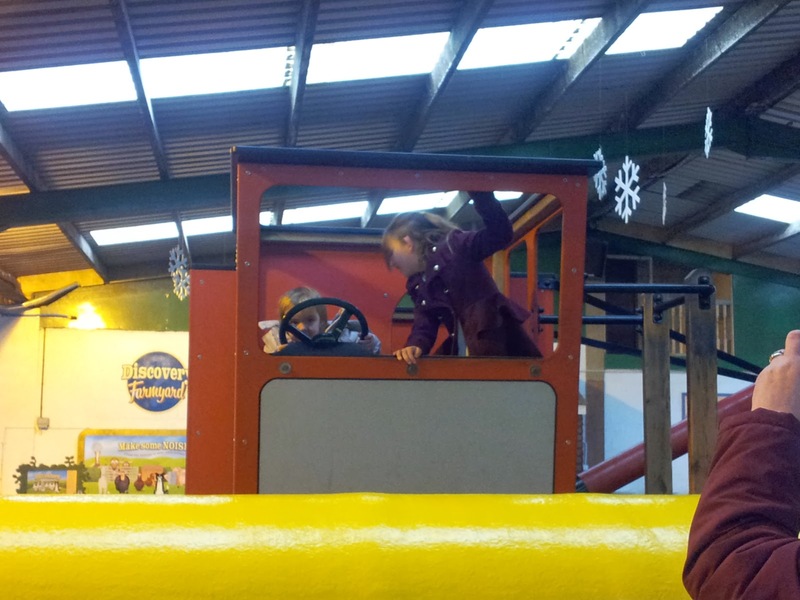 It took us into the barnyard, where we saw the farm animals and played on the tractors. I used to love “Bottle Feeding a Lamb” before it was replaced by this indoor play centre. They played on a couple of games together. We followed the trail over to the owls and then into the Discovery Centre. 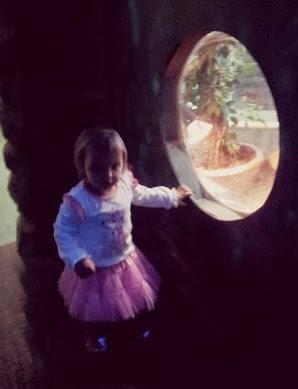 Here, Izzy is in the “Bat Cave” and she was looking in the window at some frogs. 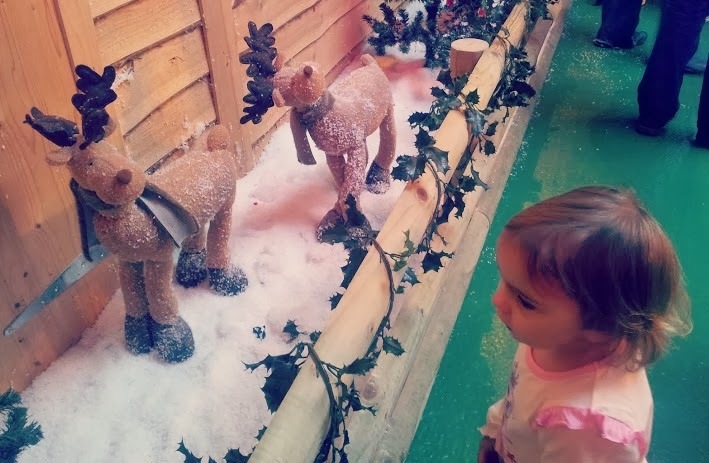 We then went to Santa’s Grotto to see his real reindeer. While we queued to see Santa, the Magic Man gave the kids a model balloon each. This kept them entertained in the short queue. It is always beautifully decorated so there are lots of things to look at as we wait our turn. Then, it was our turn for some mulled wine and a mince pie for the adults (sadly, I don’t like either) and a visit to Santa for the little ones. 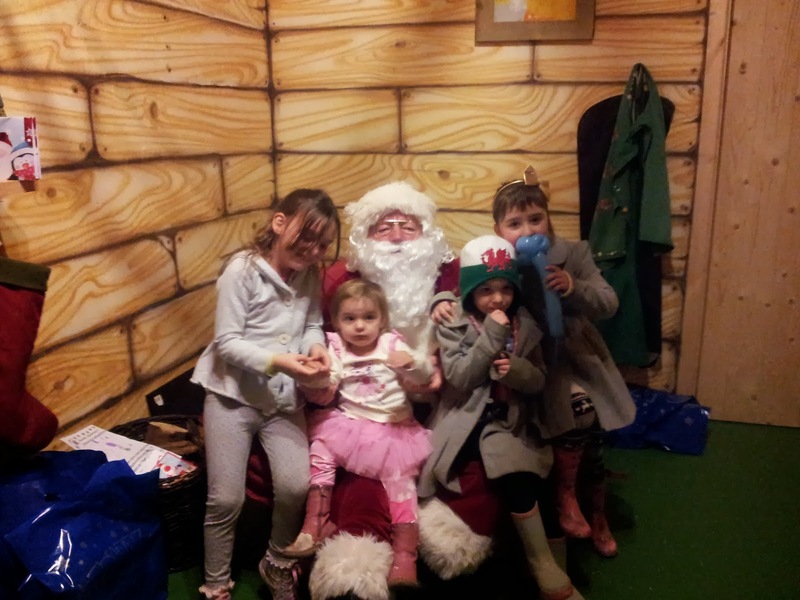 Santa was lovely and again wished Izzy a Happy Birthday. 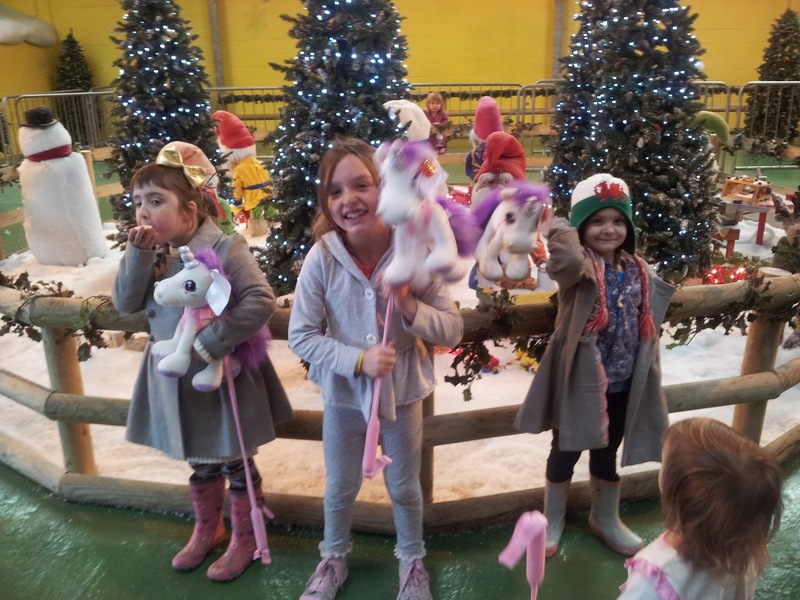 The girls loved their presents from Santa-thank you! Leaving the lovely grotto, we had a quick outdoor play and then found a picnic bench to eat dinner. Of course, there is always a Birthday Cake on our Birthday Outings. It had to be Chocolate Cake as “Chocolate” was one her very first words (as I was writing this post Izzy kept pointing at the photo of the cake saying, “My Chocolate Cake” and pretending to take some off the screen to eat!). 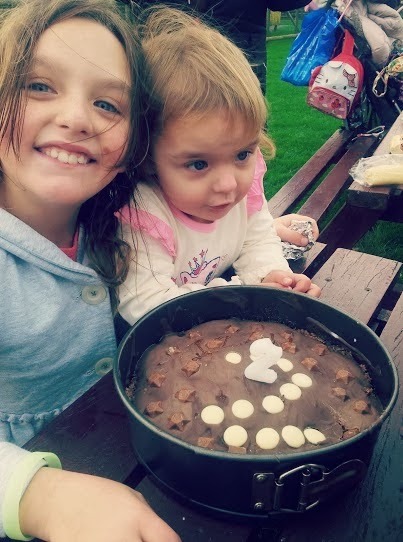 We have been lucky this year that for every birthday we have managed to have an indoor and outdoor birthday cake. Good considering their birthdays fall in April, September, October and December! 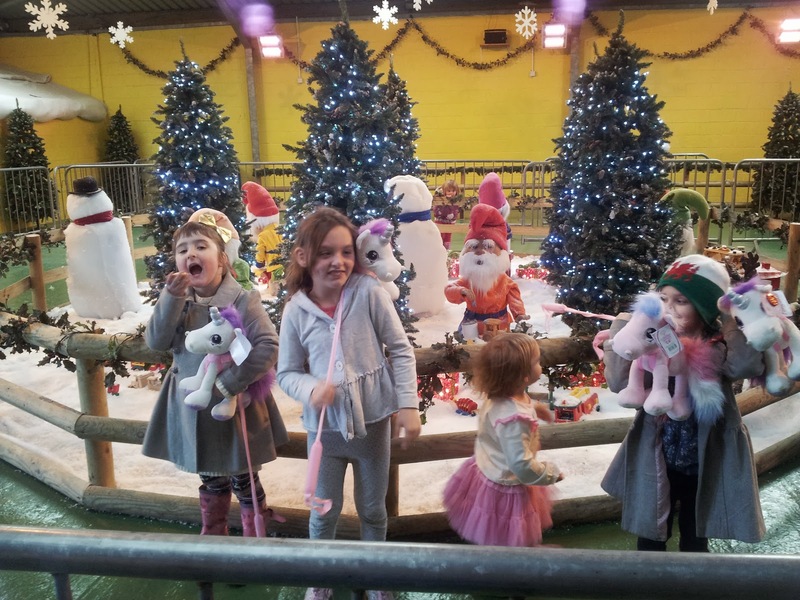 We then warmed up with a Hot Chocolate as the kids ran around Carousel Woods, an indoor wooden playground. 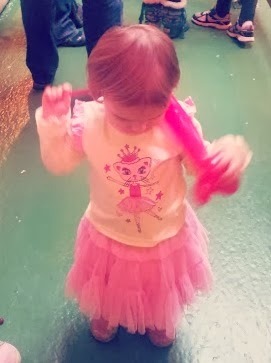 Then of course a few short days after her Birthday, Izzy was opening even more presents on Christmas Day. Happy Birthday, Gorgeous Isabelle! You are so lovely, cute, kind, cuddly, clever and crazy! We all love you lots! 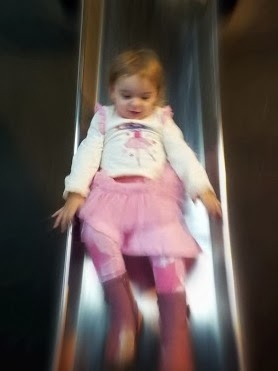 This year will be a big year for her with starting Playgroup, but I know she’s ready for it and will love playing with little ones the same age. I hope everyone had a lovely Christmas, I had such a lovely time that I have hardly shared any photos, tweets or blogged about anything, it’s so nice just to have family time. I can’t believe this is the last Country Kids of the year. Thanks so much Coombe Mill for hosting this lovely linky. 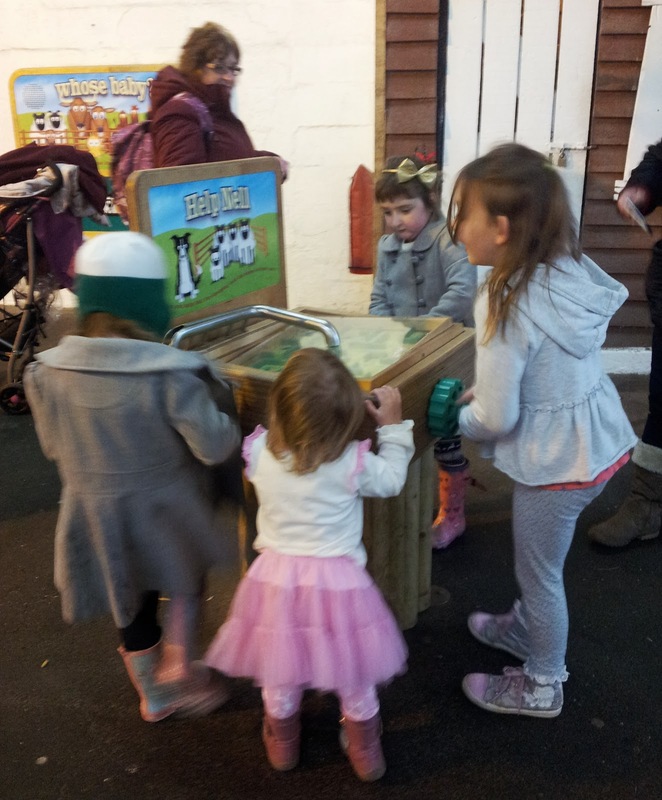 I’m looking forward to planning our Country Kids fun for 2014 and reading about everyone elses new adventures. 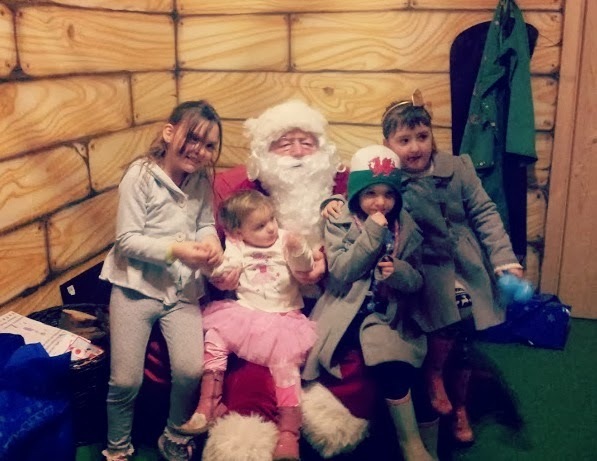 Such great photos of lots of family fun full of smiles and laughter, it looks like Izzy had a fantastic 2nd Birthday and the pressies from Santa were very impressive. Thanks for linking up and your kind words, I have been inspired by so many great posts throughout the year – here's to 2014. Sounds like it was a lovely birthday celebration.